Whistler Mountain Star 2 -3 Bedroom Townhomes - Choose Mountain Star in Whistler and ski in/out from one of the highest points on Blackcomb Mountain. Read on to learn more about Mountain Star's drool-worthy amenities, location and suitablilty or explore all Mountain Star accommodation in Whistler. Whistler Mountain Star Location - Get your Head in the Clouds! Hit the hills in seconds when you stay at Mountain Star in Whistler. Trails are just outside your door providing convenient ski in/out access to Blackcomb Mountain. Want to dance the night away or hit up some shops? Take the free Whistler Village shuttle into town. It takes about five minutes and picks you up at the end of Mountain Star's driveway! Do You Need a Car for your Whistler Vacation? Park your car in your free space and then leave it there for the rest of your holiday. Access ski slopes just outside your townhouse. Take the free shuttle bus into town when you're craving a little action. Free Whistler Shuttle: Hop on right at the end of the Mountain Star driveway. Never wait more than 15 minutes for a bus to arrive. Service runs from 5:30 am - 3am so it's pretty convenient. Ski Lifts: Watch Blackcomb's Wizard Express lift run right past your window. Ski down and hop on in less than two minutes (ok, unless you fall, but otherwise....). Equipment Rental & Ski School: Find both at Blackcomb Base, just down the hill from Mountain Star. Take the free shuttle down, walk ten minutes or, if you've already got gear, ride down in less than two minutes. Health & Wellness: Discover world-class spa facilities just down the hill from Mountain Star. Check out the Fairmont Chateau's Vida Wellness Spa at Blackcomb Base or venture a little further down Blackcomb Way to the Spa at the Four Seasons Resort. Shops & Restaurants: Find a few at Blackcomb Base, a ten-minute walk down the hill or a short shuttle ride away. Walk five minutes further and find yourself at the beginning of Whistler Village and in the midst of a retail and eatery wonderland. Grocery Store: Ride the free shuttle to Marketplace Plaza and pick up all the ingredients you'll need for dinner at the IGA supermarket. Travel time = 10 minutes each way; money saved eating in = worth it. Liquor Store: Relaxing in the hot tub just isn't the same without a nice glass of wine. Pick up a bottle at the Blackcomb Beer & Wine store at Blackcomb Base. Desire something more exotic or want a larger selection? Take the free shuttle to Marketplace Plaza, where you'll find Whistler's largest liquor store. Take a video tour of the Blackcomb accommodation area by clicking the video icon to the right. Whistler Mountain Star townhomes range in size from 2 - 3 bedrooms (1300 - 1450 sq ft). They are suitable for a wide range of visitors. Couples: Treasure a quiet and romantic setting with your own private hot tub and cozy fireplace. You may find accommodation at Mountain Star to be a bit larger than what you require though. Families with Kids & Teens: Enjoy lots of space and your own hot tub to splash around in. Mountain Star's ski in/out location is attractive for families with young children as they won't tire out lugging gear and should sleep well at night away from the commotion in the Village. Teenagers can exercise their independence by taking the free shuttle into town. Take a break from playing chauffeur! Active Seniors: If you're travelling with other family members or friends, Mountain Star provides ample space. You'll love staying here so you can access the mountain easily and sleep well at night. Greet each morning refreshed and ready to go! Non-Skiers & Riders: Most guests, skiing or not, will enjoy the spacious layout and comforts of home that Mountain Star provides. The location won't be much of a plus for non-skiers though. You'll pay a bit more for convenient slopeside access when in reality it's one of the less convenient locations to the Village. Young Adults & Nightcrawlers: Coming to Whistler to party? Choose accommodation nearer the Village area if you want to walk to bars and nightclubs. If you still want ski in/out access and don't mind a quick shuttle or taxi ride, Mountain Star may be just for you. Disabled/Less Mobile: Most Mountain Star properties have three levels, meaning lots of stairs. Look for more suitable single-level units with ground entrances or elevator access and near the Village. Getting around once you get out the door will be much easier. Hit the hills in seconds with awesome ski in/out access. Warm up after a chilly day on the mountain in your own private hot tub or by the fire. Enjoy privacy, peace and quiet away from the Village noise. Take in beautiful views from one of Whistler's highest accommodation points on Blackcomb Mountain. Save money on taxis with free Village Shuttle service pick-up at the end of your driveway. Have more space per person or have more people join you on vacation with tons of room to move in Mountain Star townhouses. Walking to the base or into the Village isn't as easy as it is from properties lower on the mountain. You won't find any shops or restaurants on your doorstep like you will in the Village/Village North area. Kids may prefer accommodation with a swimming pool. In the summer, there is no benefit to staying in a ski in/out location. Maybe you love Mountain Star but something is missing, like a swimming pool? Check out other Whistler ski accommodation developments in the Benchlands and find your perfect match. Alternatively, search your specific dates and other requirements, confining the area to "Blackcomb Mountain/Benchlands" using our Whistler accommodation search tool. Visiting Whistler Blackcomb with a Large Group? Units at Whistler Mountain Star are fairly spacious ranging from 1300 - 1450 sq ft. The large living room and kitchen areas are great for gathering together for an evening in. Book multiple units at Mountain Star and everyone gets plenty of breathing space. Even if you aren't side-by-side you won't be far from each other - Mountain Star is a smaller development. Not enough room for everyone at Mountain Star? Check out properties from the list below and be within a snowball's throw of each other. Mountain Star's neighbour just a little further down the mountain and back from the slopes. Most units have 2-3 bedrooms and private hot tubs. Just a little further down the Mountain and closer to the slopes. Most units have 2-3 bedrooms but share a common hot tub. Just past Painted Cliff on your way down the mountain, directly slopeside. Most units have 2-4 bedrooms and private hot tubs. See these developments on a Whistler Mountain Star Map. If you're just starting your search you may wish to browse Whistler ski accommodation by development. Learn more about each property before diving deeper into specific units. Have an idea of which developments you prefer? Search all 550+ Whistler vacation rentals on alluraDirect.com by date, development and more. Found your perfect property? Check out other Whistler Blackcomb Resort deals and discounts on everything from lift tickets to dogsled tours. Own a Property at Mountain Star or Somewhere Else in Whistler? Share your love of Whistler and your beautiful home with visitors from around the world. Subsidize your dream of vacation home ownership with lucrative rental income - it's easy to do! 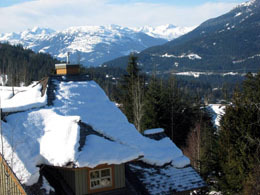 List your Whistler vacation rental on alluraDirect.com's Whistler accommodation directory and reap the rewards of rental revenue. Keep more of that revenue by managing your rental business yourself, even if you live oceans away. Sophisticated reservation-management tools and an online booking system means less than five minutes a day is all it takes. Hundreds of Whistler vacation home owners have taken the leap with us and are basking in commission-free bookings. Learn more about Whistler listing service details and get ready to join the club! Contact us today to find out how an AlluraDirect.com subscription can kick-start or build upon your current rental business. Own a Vacation Home in Another Destination? alluraDirect.com lists vacation rentals in many destinations. Join our community of like-minded vacation homeowners and take control of your investment today! We help owners and small, local, independent lodging companies prosper online through all of their marketing channels. Pay a reasonable flat annual fee and you'll get all the tools and tips you need to run a successful online rental business. View vacation rental service details or contact us for more information.